It's almost funny how wrong people can be about 'what is Steampunk'? I'm a scifi and horror nut myself. I love weird stuff. One of my current favourite TV shows is Warehouse 13, which heavily includes Steampunk influences in the modern world. One of my favourite authors is Phillip Pullman. What exactly is Steampunk by definition? It's basically a sub-genre of scifi. It's like an alternative history. How the Victorians imagined the future would be (with steam powered inventions etc). This includes the American wild West too as it is the same era. So of course Steampunk is rooted in the fashion, culture and aesthetics of this alternative 19th century. Think of the works of Jules Verne and H.G Wells. Steampunk is not just throwing a cog on things - nor is it 'anything that looks sorta victorian'. Yes indeed it is heavily influenced by that era but it is - as I said - an alternate history, how they might have pictured the future. The word Steampunk only seems to have emerged in the 1980's. I would hazard a pretty accurate guess that the works of H.G. Wells and Jules Verne heavily influenced this modern Steampunk trend. They could be the grandfathers of Steampunk! I love steam punk as well! Have a nice weekend! I've just finished reading Philip Pullman's Northern Lights trilogy. My Mum bought them for my birthday in April. Loved it! Beautifully written and it all fits together with no loopholes. 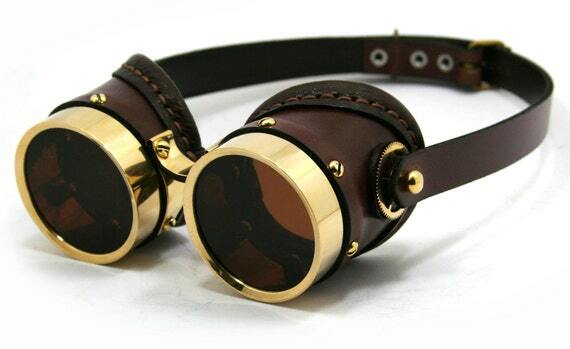 Steampunk seems to be one of those slightly overused labels that most people misunderstand the meaning of. Petra..just into G+ 5 minuts ago and u have already 5 followings ????? I'm not in..I don't want mistake and send silly things to every body..I'm able !! !